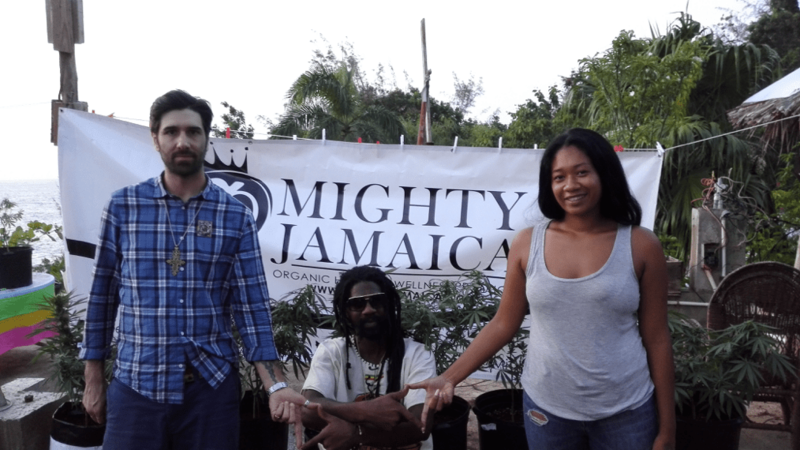 We were welcomed by Kim from Mighty Jamaica, who is running a mobile dispensary for tourists in Negril. She knows where to find the right Ganja Remedy. Set atop a nice garden on a roof top, as she look up education to teach farmers to improve their Grade. We find good synergy between Alpha-CAT and Mighty Jamaica to train local farmers in Westmoreland and help them to increase their current standards. Big Up Kim !!! Keep up the good Jah work. 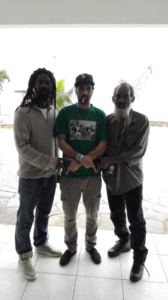 Sebastien was honored to meet personally one of the most influencial Rastafari Elder in Jamaican Cannabis industry, Ras Iyah V. He is a board member of the Cannabis Licenced Authority (CLA). We discussed about the development of Ganja cultivation standards and methodology that will fit the Rastafari faith way of life as «Ital». 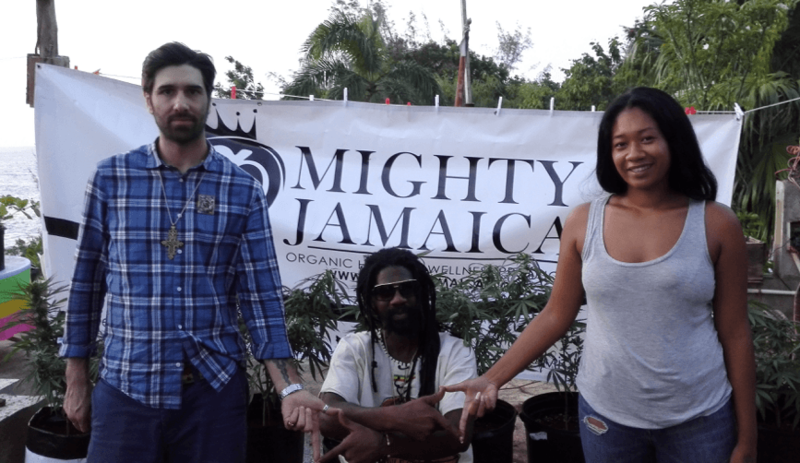 Ras Iyah V is the organizer of the Rootzfest which hosted the High Times Cannabis Cup last year. 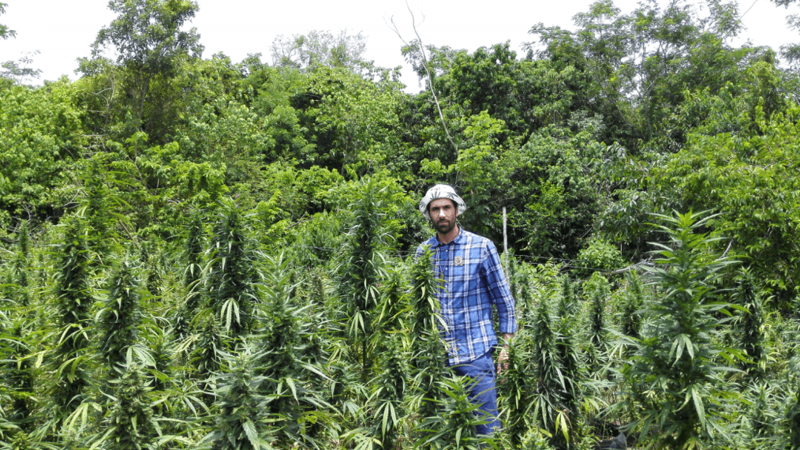 On the next day Sebastien went to visit in Blue Hole, King Lawyer’s farm, the two-time winner (2014 and 2015) of the Stepping High festival, the oldest Jamaican cannabis cup event. Then we visited another farm in Orange Hill. It was very interesting to see the difference and similarity between farms in term of growing technique, which is based on seedling outdoors using black tires as pots. The quality of herb also varied in taste and shape, which was interesting because the best effect was obtained with the worst looking bud. Definitely something going on in the genetics, flavors and curing; and the whole combination makes each bud unique to smoke in Jamaica. I went to visit the Ital Steam Chalice Factory to bring back some good steamerz for Europe made by Ras Kalheb Selassie, the Ital steamer General. He is make one the finest Steam Chalice in the world some made in Coconut, Kalabash, Bamboo and differet size, small, medium, large, extra large. Alpha-CAT is going to help Ras Kalheb distributing its unique product to Europe… Steamerz coming soon over the World. 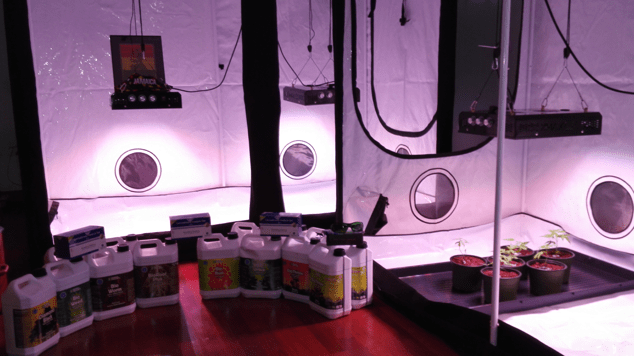 Pick up growing equipment sponsored by Horticoled (Designed in France), General Organics (Made in France) and Greenhouse seeds co, under the coordination of Alpha-CAT. 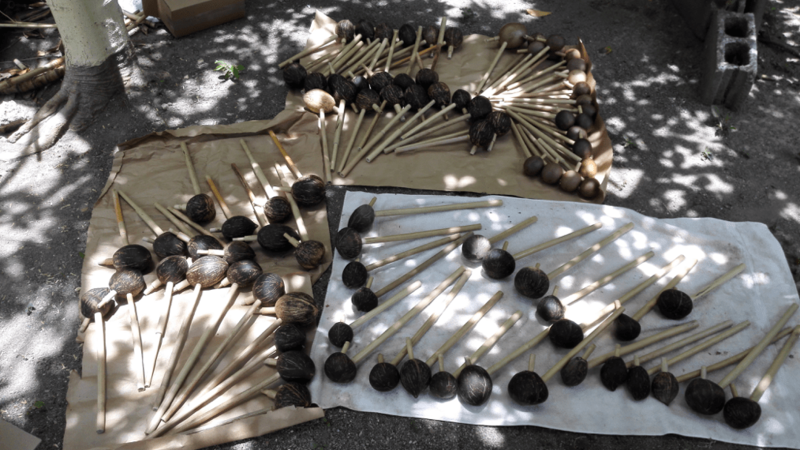 In order to help the Rastafari Ital Herbal Sacrement to take place at the new level in Jamaica. After 6hours we finally clear out the customs. Then once we got all the setting up and running …. 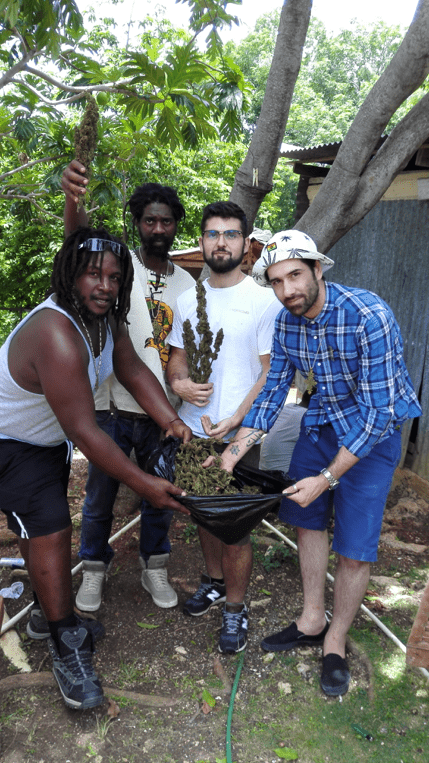 Rastaman are now ready to grow it and promote it for the Healing of the Nation. 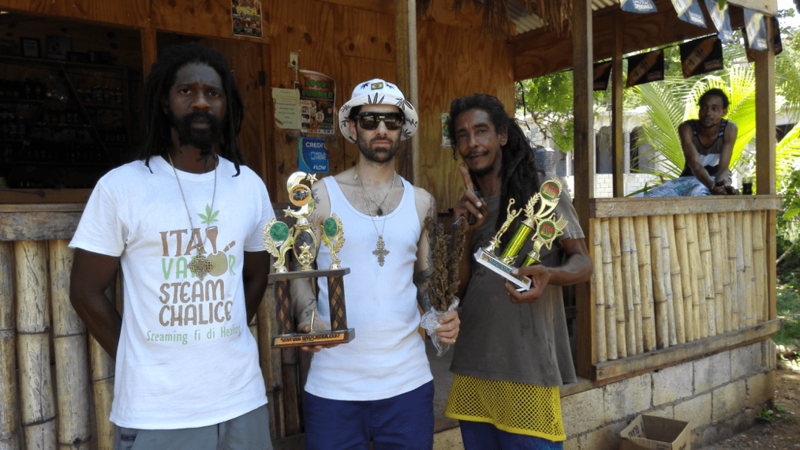 This entry was posted in Blog and tagged Blue Hole Jamaica, Cannabis Licenced Authority (CLA), High Times Cannabis Cup, Horticoled, Ital, Ital Steam Chalice, King Lawyer's Farm, Mighty Jamaica, Rootzfest.